I poured a bowl of cereal the other morning and suddenly realized just how different my eating habits are from when I was younger. The cereal is the same but the teaspoons of sugar on top are no longer there. The cartons of Ben & Jerry’s ice cream which I used to scarf down in one sitting doesn’t even make its way into my shopping basket anymore. And the overflowing bowls of pasta I used to eat for dinner day after day are few and far between now. But I still love pasta so the fact that I don’t eat it so often makes it all the more better when I do eat it. 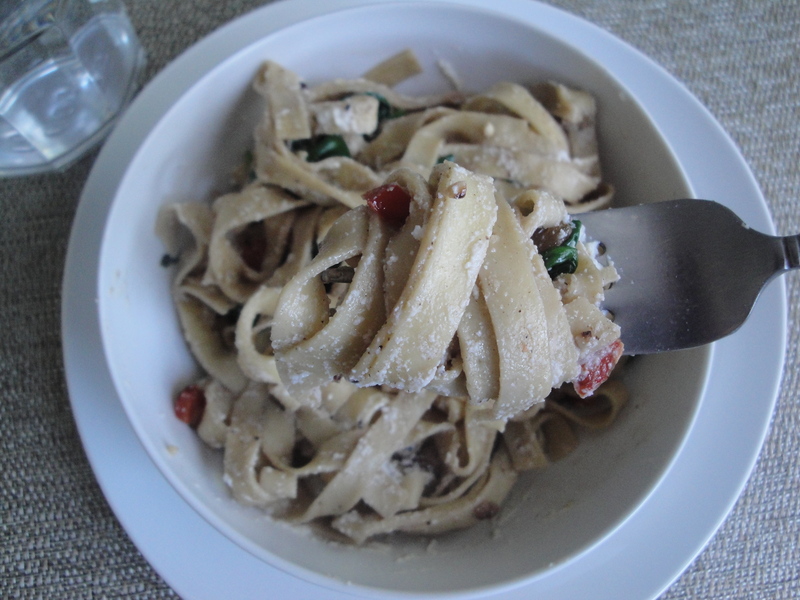 I try to eat whole-wheat pasta whenever possible but since I’ve started this blog, I’ve been introduced to refrigerated pasta which cooks in two minutes and has a softer texture. 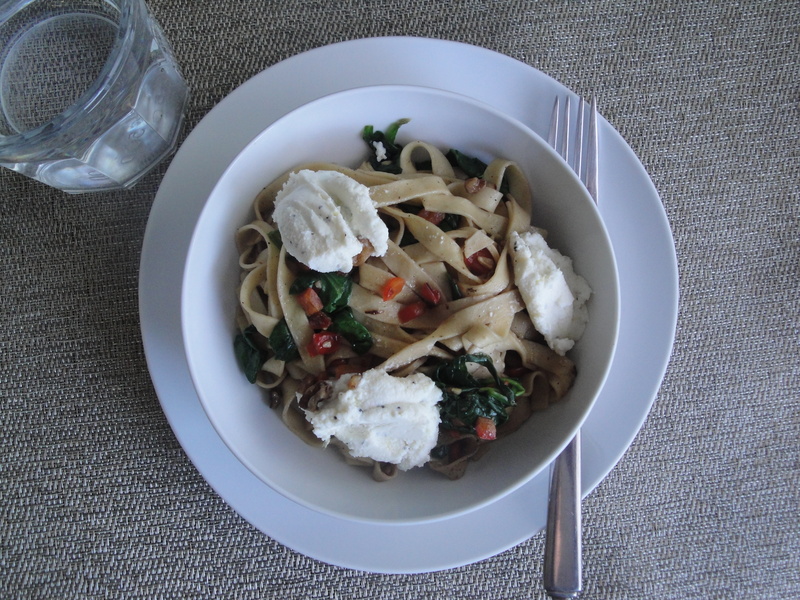 This recipe for Ricotta-Spinach Pasta uses refrigerated pasta which means it can be made in no time. 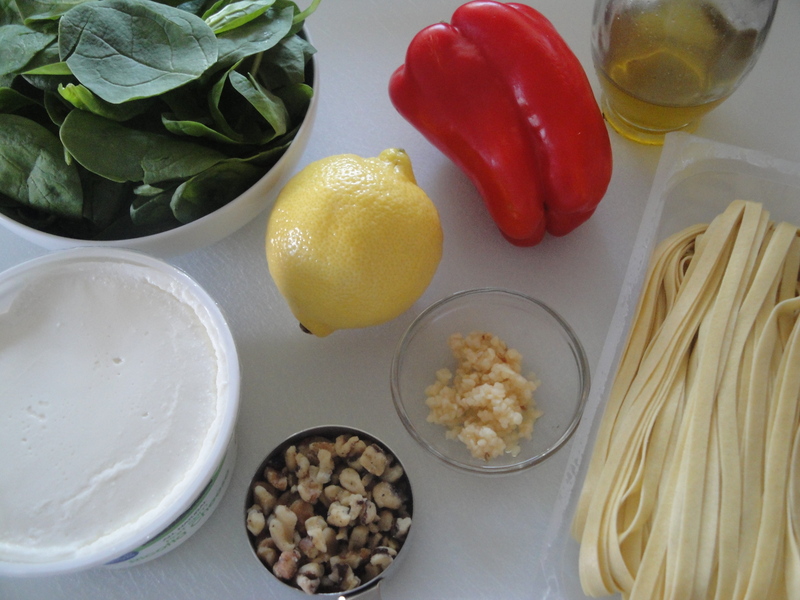 Fettuccine is tossed with sautéed red peppers, chopped walnuts and spinach before being topped with lemon-flavored ricotta cheese. 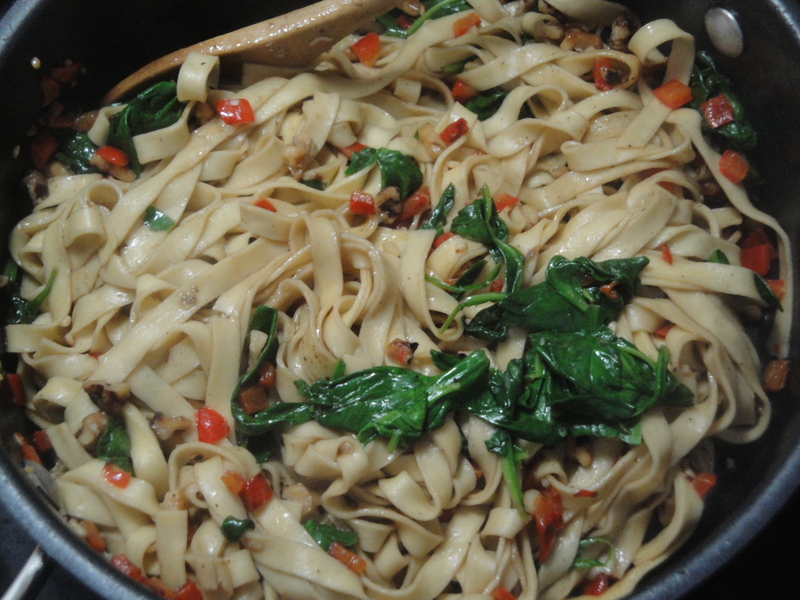 The walnuts, which I love, give the dish a crunch which is interesting with the pasta. The ricotta provides a creamy element and the lemon provides a fresh brightness. The is a light pasta dish that I liked but thought was missing something. I ate all of it, so it was good enough to me. But I kept thinking that a splash of balsamic vinegar would bring it to life. If you try this, let me know what you think. 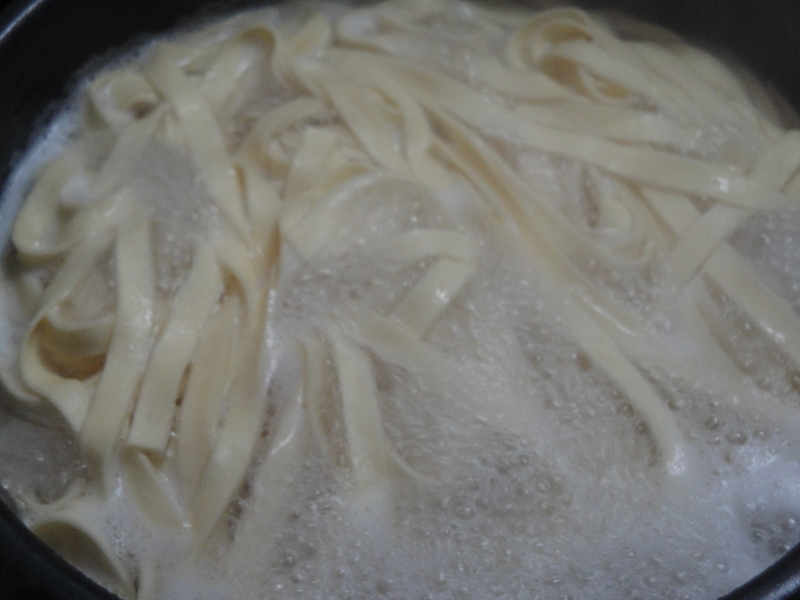 Cook the pasta according to package directions and drain, reserving 1/2 cup pasta water. 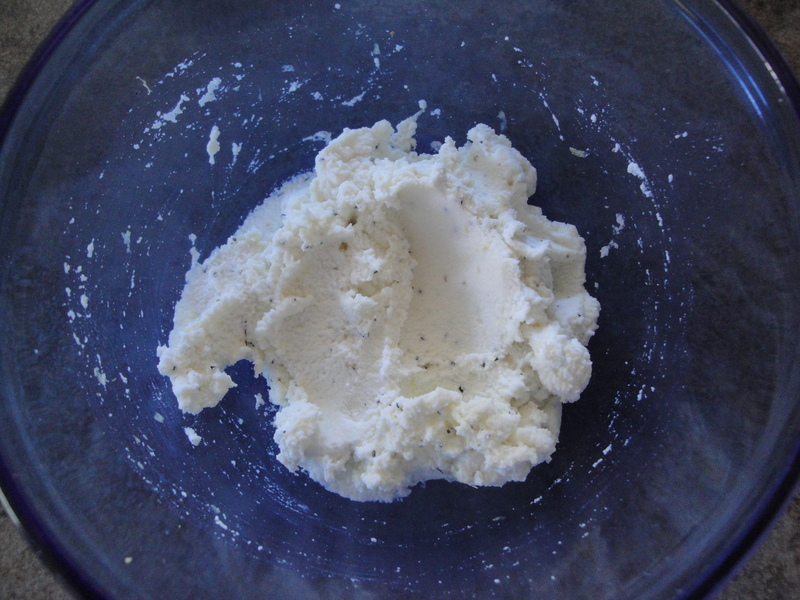 In a small bowl, combine ricotta, lemon rind, salt and pepper. Heat olive oil in a large skillet over medium-high heat. 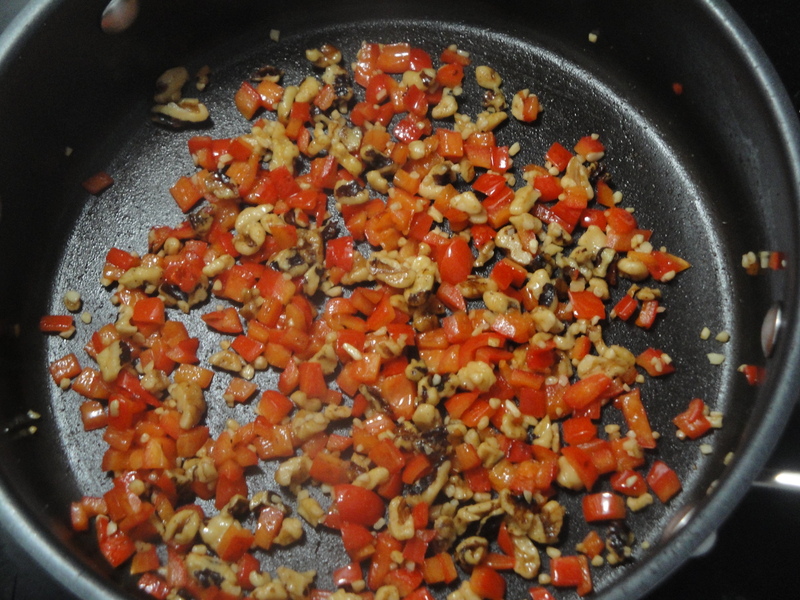 Add bell pepper; sauté 2 minutes. Add walnuts, salt, and garlic; sauté 2 minutes. Stir in remaining oil and lemon juice. 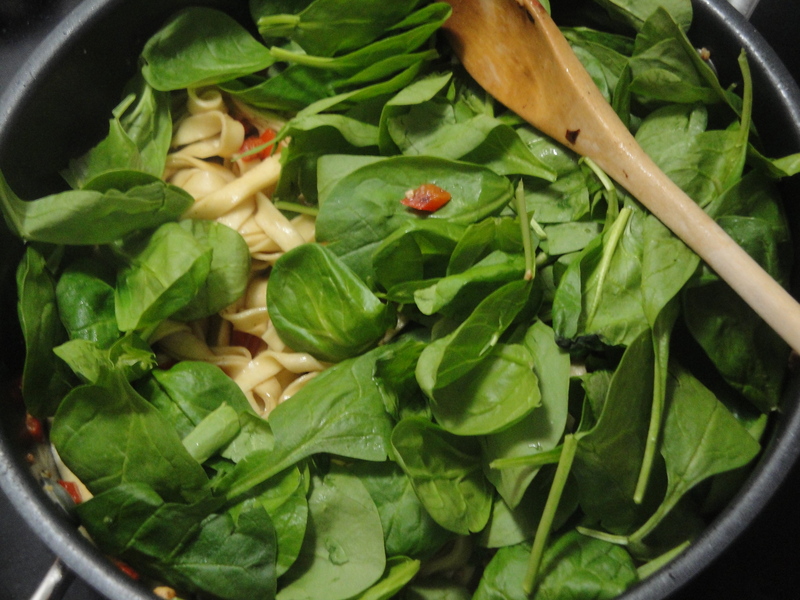 Add pasta, pasta water, and spinach; cook 1 minute or until spinach wilts. Top with ricotta mixture and rind strips, if desired.